The practice of pranayama is the means to creating a deeper relationship between the mind and the subtle body. Through specific breathing techniques, we increase the amount of prana in the body, tone the lungs, cleanse the subtle energetic channels, and draw the mind into a more steady and relaxed state, all of which prepares the body for meditation. *For pranayama we want to ensure the practitioner has a comfortable seat and an erect spine with a balance between the pelvic floor and the crown of the head. *Use meditation cushions, bolsters, blocks and chairs to ensure this balance will occur. *With the breathing techniques, we always want to warm up the breath and nervous system with an easy breathing or ujjayi breathing technique first. Then we move into a deeper pranayama such as Nadi Shodhana to cleanse and further soothe the nervous system and bring balance into Ida and Pingala. *Following this, the body is now ready for a stronger overall breathing technique such as Brahmari, which guides the practitioner towards the central channel of sushumna. *Lastly, to smooth out the invigorated energies of your pranayama and to connect deeply to the subtle Sushumna channel, we take on Sama vritti or equal breathing pranayama. *Now the practitioner has reached the perfect balanced state between body and breath allowing him or her to sit in meditation. All of the following breathing must be done without strain. Go slow and easy. 1. FULL YOGIC BREATH: This technique prepares the body for the subsequent breathing techniques by deepening the awareness of the breath. After savasana, move the body into a comfortable seated position with a straight spine. Breathe to the comfortable peak of the inhale and bottom of the exhale. Repeat 6 times. 2. NADI SHODHANA (alternate nostril breathing): A simple form of alternate nostril breathing that calms the mind, soothes anxiety and stress, and promotes mental clarity. Hold your right hand up, place your thumb next to your right nostril and your ring and pinky fingers by your left. Let the index and middle fingers just relax and either rest onto the forehead in between the eyes or curl into the palm. 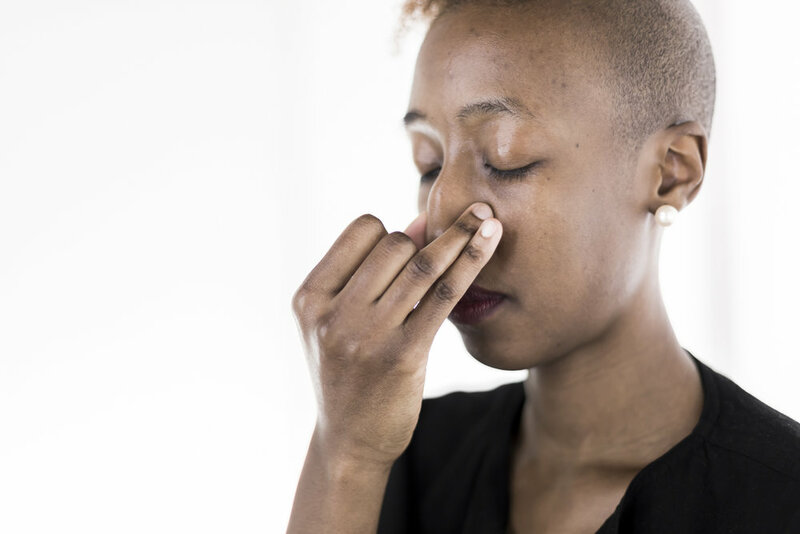 Close the right nostril gently with your thumb and exhale through the left nostril, keeping the breath slow and steady. Once you reach the bottom of the exhale, close the left nostril by pressing gently against it with your ring and pinky fingers, and now inhale fully through the right nostril. At the peak of the inhale, close the right nostril gently with the thumb and exhale fully through the left. Once the exhale is complete, inhale through the left nostril, block and exhale fully through the right. That is one complete round of Nadi Shodhana. 3. BHRAMARI (bumblebee breathing): This breathing technique helps soothe the nervous system and eases tension, rendering a strong clear voice. Place the hands with both palms pressing lightly onto the face. Pinky fingers together just underneath the bottom lip, ring fingers together just above the top lip, middle fingers to the bridge of the nose, index fingers to the eyelids, and thumbs pressing onto the tragus to close off the ears so that you do not hear any sounds. Inhale deeply and as you exhale make a strong humming noise in your throat keeping your mouth closed, like ‘mmmmmmmmmmmmmm’. 4. SAMA VRITI (balanced breathing or same action breath): We use this technique to balance every moment of the inhale and the exhale. With full awareness and attention on your breath, balance out the inhales and the exhales in every way possible so that they match in length, depth, and tone. 5. SHEETALI (cooling breath): Designed to lower body temperature; perfect when taking practice in hot temperatures. This technique not only cools and calms the body, but also influences the mind in the same way. Part the lips and roll and extend slightly the tongue. If this is not possible, touch the front teeth together keeping the lips apart. Inhale through the rolled tongue or teeth so that you can feel the breath hit the back of the throat. At the top of the inhalation, close the lips, tuck the chin to towards the chest, and retain the breath for a count of 3. On the last count, raise the head and take a complete ujjayi exhale through the nose. Repeat 6 times. 6. BHASTRIKA (bellows breath): This pranayama technique is an exercise for the lungs. Air is forcibly drawn in and out through the nose in equal proportions, like the pumping action of the bellows. Take one full inhale to prepare, and then expel the air with a quick strong blast. Allow the following inhales and exhales to be equally strong and forceful. Do 12 breaths for a total of 3 rounds. 7. KAPALBHATI (shiny skull technique): This breath purifies the frontal region of the brain. Similar to bhastrika, but we move the action from the lungs down into the abdomen, breathing rapidly through the nostrils. Place emphasis on the exhalation - the inhalation that follows will be the result of forcing air out. Take one complete inhale. At the very top of the inhalation, draw the abdomen in toward the spine and then exhale forcefully, pushing the belly to relax and push out as you do so. Immediately the body will naturally inhale and the belly will come back; continue to exhale forcefully. Do 12 breaths for a total of 3 rounds. 8. VILOMA (against the grain): This breathing technique relaxes the body, soothes the mind, and allows us to find the constant rhythm within our breathing. Exhale fully all the air out of the lungs. Then, inhale filling up only the lower part of the lungs, pause (3 sec); inhale the middle, pause (3 sec); inhale all the way to the comfortable peak, pause (3 sec); then exhale completely. Do six rounds. Take three ujjayi rest breaths. Then reverse: inhale fully all the way to the top, and exhale only the top range of the lungs, pause (3 sec); exhale middle range, pause (3 sec); exhale all the breath out to the bottom, pause (3 sec). Do six rounds. The SATTVA Legs Sequence is designed to target and open your legs to allow freedom and flexibility throughout the entire body. Flexibility is coming in time - this time quickens as we adhere quicker and stronger to the alignment of our own body. By freeing the holding patterns in the legs we gain greater flexibility and range of motion throughout the entire body. The positives are endless: day-to-day mobility, injury rehabilitation, posture refining and a deepening into many other aspects of your practice. Opening the body is systematic. The legs are regarded as the starting point of the SATTVA Foundational Sequences; the key to unlock the rest of the body. This specific sequence combines supported, seated and standing postures to align, strengthen, and open your legs, all in under 40 minutes. "The legs hold the secrets to the openings that occur throughout the rest of our body." Use your breath to guide the fluidity of your myofascial tissue. Follow the patterns which express themselves through the sensation of balance. Find subtle, micro adjustments within the body. Establish a clear pathway through your legs for the overall health and wellbeing of your entire body. The legs sequence is truly the foundation of the foundation. Use this foundational sequence to compliment and deepen your dynamic practice or adopt it as your main movement. Listen as your body responds to the teachings - open legs will open the rest of your practice. Enjoy! The SATTVA community is still buzzing from our official welcoming into Summer and last month's back body sequence. It is always the perfect time to keep moving forward and enjoying the delights of our practice. This month we invite the new side body sequence with so much excitement - we know you'll find it truly enjoyable! Incorporate your personal understanding of the practice into this month and continue to watch yourself grow and strengthen. Always planting and watering the seeds! We have an opportunity to develop the inner lines and the outer lines of the body which are really accounting for a lot of the stability we feel in the experience of our physical body. The side body sequence guides us to execute with stability throughout every single posture that we are visiting. We see this right away in our sun salutations, including a strong emphasis on Virabhadrasana D and the grounding of the back leg. As we move forward with n the sequence we want to develop that leg strength, building it upwards through into the glutes, into the torso, shoulders, arms and even the neck and the head. The inner and outer lines work throughout the entire body. We know this month is going to be full of incredible moments on your mat. We can't wait to share this new sequence with you! Namaste. Free classes, membership specials and pop-up shops at our open house at SATTVA School of Yoga in Edmonton! The SATTVA School is in full bloom and excited to have you! From June 18 to 24 our doors are wide open to come enjoy and explore our school, including free classes for the entire week! This is the perfect way to get acquainted with the SATTVA method, teachers and community. Bring your family and friends to enjoy FREE classes all week, membership specials and pop-up shops! We are also excited to announce that the incredible sound engineer Amir Aziz will be joining us on June 21 for Naad: A SATTVA Sound Bath Experience. Registration is now OPEN - reserve your spot for this special offering held in celebration of Summer Solstice and International Day of Yoga. We're one week into the new SATTVA back body sequence for June and letting the shift start to settle in. 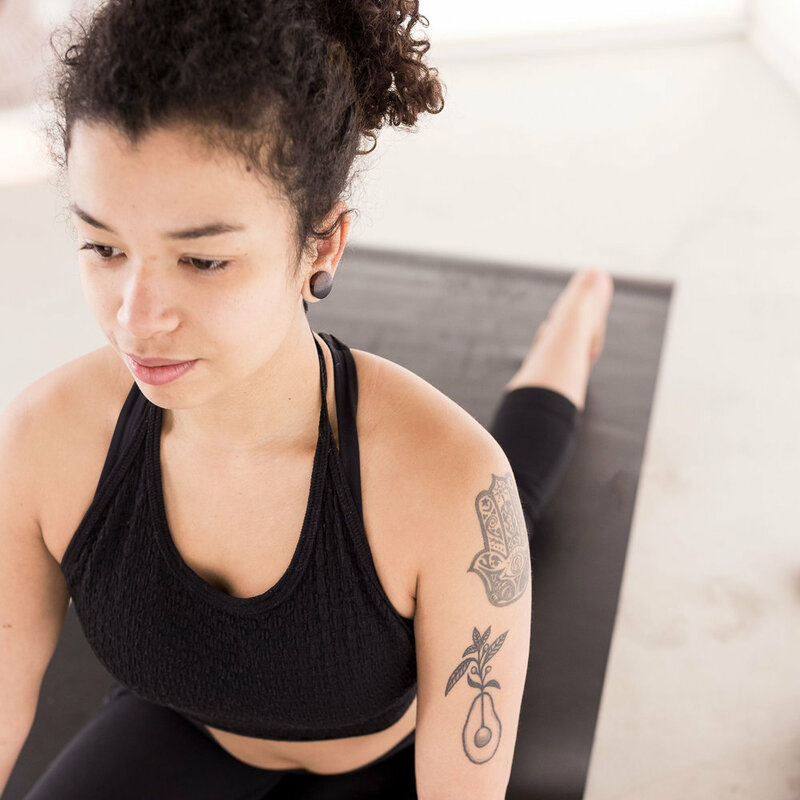 This month we are focusing on a subtle shift in postures that build from our May front body sequence - a continuation of a continuation as we move through seasons and cycles. As we find a back body awareness in our practice, we can use the knowledge and information from a front body perspective to now shift and ground into through the back lines. "This month we're asking the anatomy of the body through our awareness to organize itself in a very special way. In that ability we're actually increasing the communication of the body between groups of muscles and sections of bones and joint. This translates to a heightened ability to function balanced within this body." We experience this grounding right away with the back body-centric prep postures that begin this month's sequence. As we start in savasana with our entire back body grounding towards the earth, bring full awareness to this space. We follow with Supta Padangusthasana (Reclining Hand-to-Big-Toe Pose) and Halasana (Plow Pose) to bring a clear opening through the entire back body line. We recommend using a strap as the body is simply adjusting and softening in these first few postures. The SATTVA practice is designed to create shifts in awareness through the intelligent lines of the body. We find a grounded, similar experience for the body each month - the body's memory works well this way. In contrast, when a new posture is introduced we are calling upon the mental aspect of the practice to apply this shift. "We add new postures for the body and mind to organize itself around so we're constantly sharpening this tool of awareness. On the physical side, this translates to the ability for the body to shift and constantly move forward." Wishing you a wonderful month and, as always, an enjoyable back body practice! We're into week two of the SATTVA cleanse and settling into the groove. With a simplified shopping list we are granted the opportunity to get creative, discovering new flavours and combinations with each kitchen adventure. It's a great time to focus on what lands best in your system - and perhaps notice what you don't miss (or really really do!) Regardless, pairing down to the basics ignites culinary creativity as we are nudged to think outside the box! Start with a base. We chose brown rice, quinoa and green lentils seasoned with lemon and ginger. During cleanse season it's nice to keep these ingredients prepped every few days. Don't forget to soak and rinse! Add greenery - as much as possible! This bowl is bursting with lettuce, sprouts and basil. 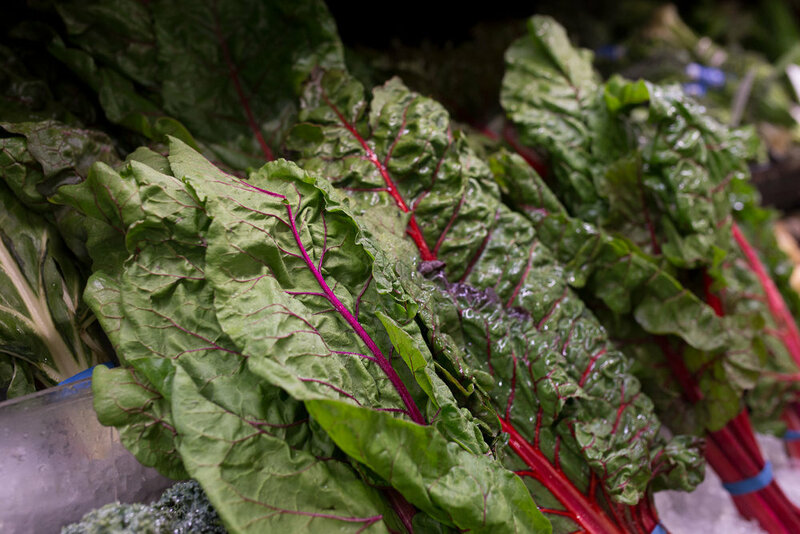 There's really no limit to green combos; you'll probably get very comfortable in the produce section as you try all of them throughout the month. Get colourful. This bowl is jazzed up with vibrant fresh tomatoes and a pureed medley of roasted carrot, celery, beet tops and baby potatoes. Yes, it looks like baby food. Yes, it's delicious. Other great additions include red pepper, yam, beets or radish. Fruit adds a really nice pop of colour and flavour also. Mm, mango and strawberry...! Sprinkle on the final details. This bowl is topped with almonds, hemp hearts and avocado. Always avocado! 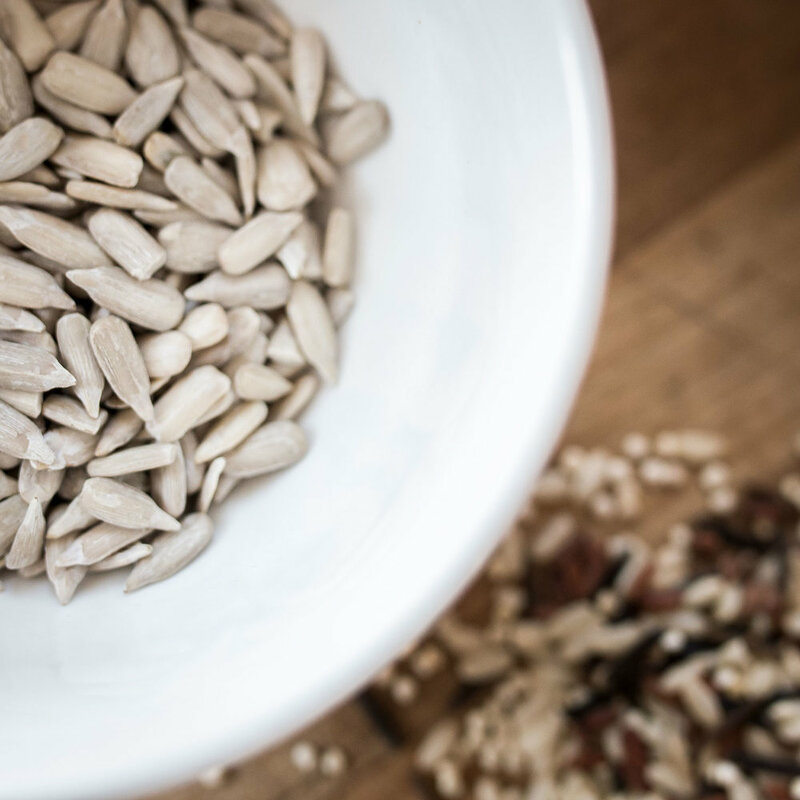 Maintaining a source of healthy fat is so important as you go through this month, especially paired with the SATTVA practice. Stay sharp and nourished by incorporating this grounding element. Stay connected with the SATTVA community throughout the month for cleanse recipes and inspiration. Happy cleansing! This month we are welcoming in so much; a new season and cycle to lead us into the front body sequence. This is the time to refresh, reconnect and perhaps do things a little differently as we integrate the work from the last few months. This month is accompanied by a community-wide cleanse which really allows us to reset. As always, we know you will love this sequence! We can see the front body come into awareness right away in this month's sequence within the prep postures, which are truly meant to send you into this incredible front body exploration. "This close connection to the front body is the finer detail of how the threads of tissue work together in order to create the organization that we experience constantly throughout the body. The more conscious we become of this subtle organization, the more proficient it can communicate with itself." Beginning on the tops of the toes, running over the foot and up the front of each leg and connecting to the hip bones, from the hip bones through the pelvis to the collarbone, and along the arm over the elbow, wrist, and connecting to the pad of each finger. There is also a line of awareness that runs from the pubic bone, through the navel, the sternum, the chin, and all the way up to the crown of the head. With the recent shift into saturn retrograde we find there is an opportunity to do things differently; to first recognize the behavioural patterns we hold around thought and action and then do something different with it. "In this month's front body sequence we'll notice a subtle feeling of rewind - an unwinding of the pattern of the body which we normally take within the sequence that we are replacing that with a newfound expression. These slight differences are going to make a huge impact on the nervous system and the way the mind feels after the sequence." Stay tuned on the blog and social media channels this month for cleanse recipes and tidbits! We know it's going to be an amazing month. Namaste. As Spring emerges we find the perfect opportunity to simplify our diet and supercharge into the season. The SATTVA Cleanse is a commitment to one full month of just that: simplification. As we refine the foods we eat we have the opportunity to evaluate what really fuels and sustains us. 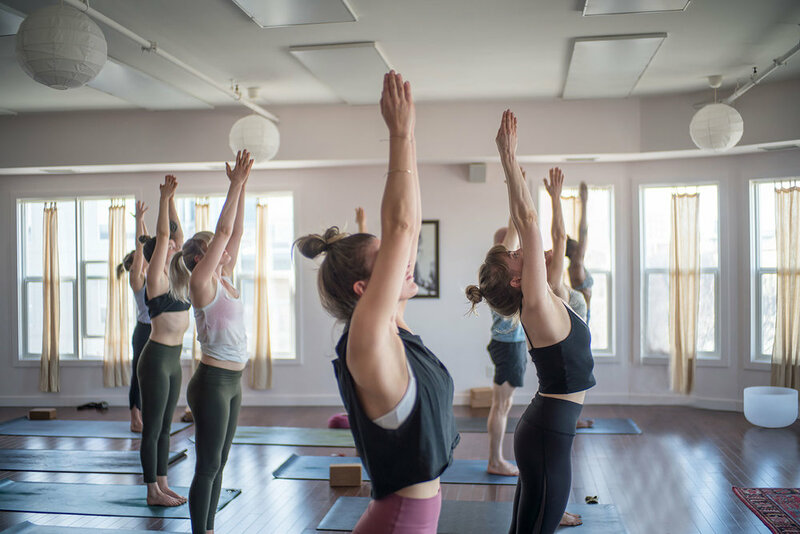 Spring is a wonderful time to commit to the temple - whether you're in our online community or at the SATTVA School of Yoga, we are here to support and guide this month alongside you. * The SATTVA Cleanse should only be performed if you are in good physical condition and are committing to the SATTVA practice or SATTVA teacher training. 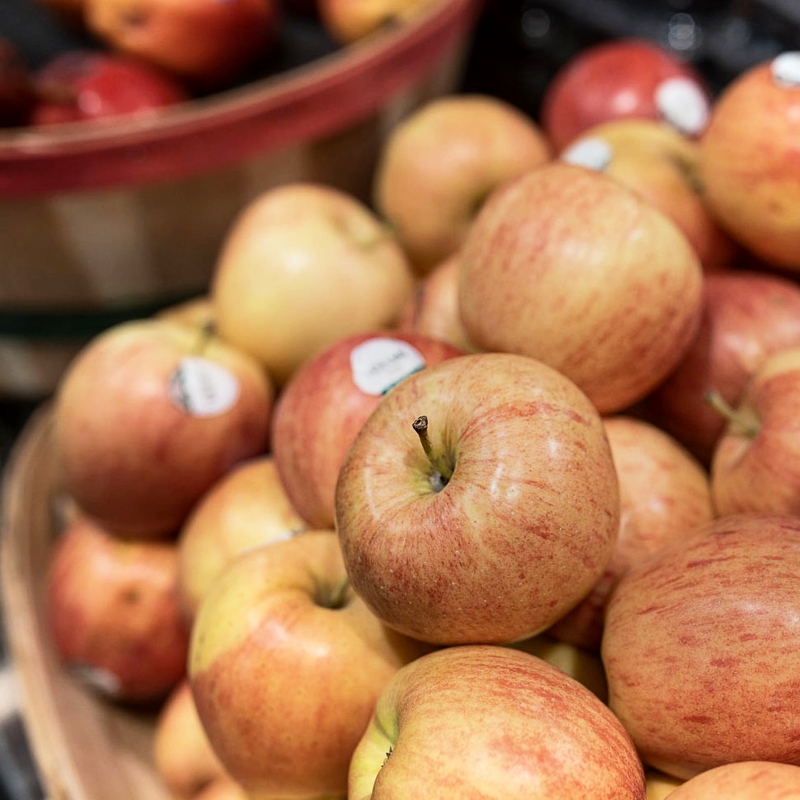 Thank you to our friends at Blush Lane Organic Market for letting us photograph their delicious and vibrant produce section! Cleansing has endless benefits. One main reason we cleanse is to become more aware of what foods do or do not work for us. Cleansing isn't about denying ourselves, but rather a renewed way of approaching food; we are actually cleansing our attitude towards our diet as well as our bodies. With this renewal comes balance. We cleanse for the purpose of bringing the body to a place of balance or homeostasis so that we can feel what it is like without the influence of foods that are constantly stimulating us or confusing our system. Once we have found the balance, we can give the body exactly what it needs in order to thrive. This is the yoga of eating and diet. Over time this becomes incorporated into our lifestyle as a daily choice rather than something that we dread. Cleansing allows us to shift to a conscious and deliberate approach towards optimizing how and what we eat. Through this month-long commitment the physical body becomes clean and light. From there, we can then pick up on the energy of the breath. Here the mind has a comfortable and safe place to rest into, leaving it calm and relaxed. Garlic and onion and heavy spices such as cayenne, chilies and strong curries. Herbal and green teas, sattvic spices such as cinnamon, cardamom, nutmeg, cloves, ginger, cumin, turmeric, coriander etc. The recommended ratio is 1⁄2 full, 1⁄4 water, 1⁄4 air. Be patient with yourself as you start your cleanse. It can be a huge shift and it may take time to change the patterns you’ve built up over time. Graciously accept each new day and each new feeling or emotion that comes up throughout your month and know that the SATTVA community is right alongside you! Stay tuned on the blog and social channels over the weeks to come as we share recipes, insights and tips to support you through this transformational time. 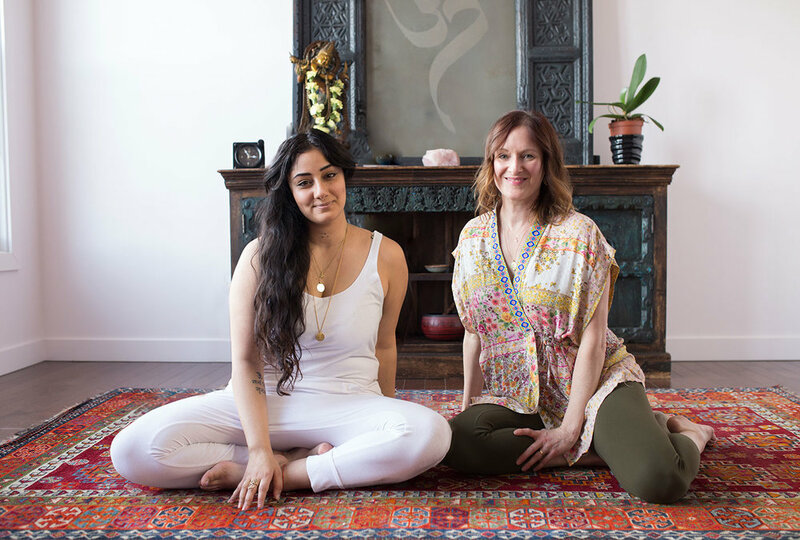 We've got a workshop coming up Friday, April 27 at SATTVA School of Yoga with our resident cleanse geniuses, Wen Kauffman & Sonia Dhillon. Chat with the community and learn more about cleansing and the sattvic diet to feel ready and inspired for May! The SATTVA yoga practice uses a series of awareness and integrative action lines within the body. Working in a four month cycle, this rotating cycle allows us to systematically and safely open and strengthen the body. As we move into Spring we emerge with STRENGTH, the perfect time to focus the integration on this dynamic element of the practice. The strength line lives at the innermost central axis of the body. This line begins on each foot at a point of origin directly in front of the heels, up through the very center of the legs converging at the pelvic floor, directly through the center of the torso and all the way up to the crown of the head. At the chest, the strength line splits to follow along each arm and connects to another point of origin located at the center of each palm. This month within the strength sequence we are continuing to work with the theme of dynamic relaxation. Rameen explains there will be a strong sense of connection to our practice as we continue to dive deeper into this exploration. As we connect to the quality of space found within the body at the tissue level we can begin to observe the relaxation that exists within the tissue itself. "The space that emerges through your awareness from observation of experience and within that relaxation begin to understand how there's a dynamism within that - there's a vibration that you can feel and begin to act upon and that action is the animation of your body so the sequence is teaching us how to create animation of the body through the avenue of relaxation." < Get acquainted with the finer details of this month's practice. We know you are going to really love it! 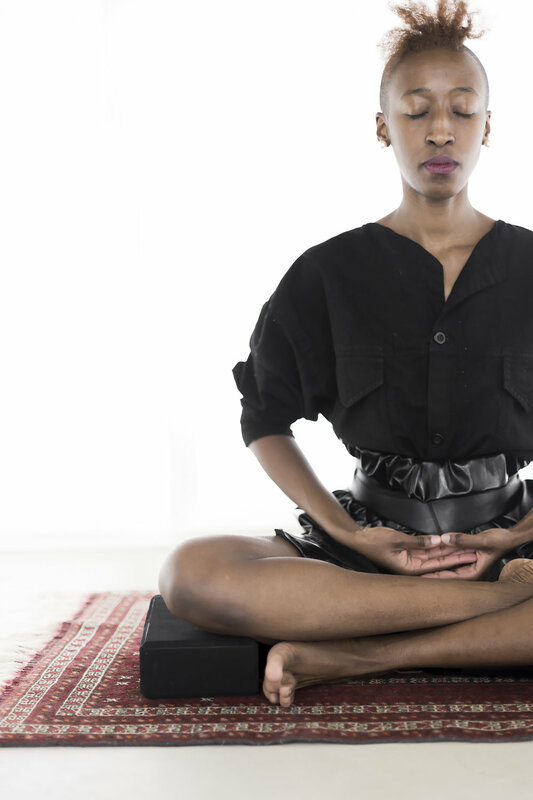 A conversation with Rameen Peyrow, founder and director of SATTVA Yoga. Every month the crew at SATTVA Yoga Online gathers in Rameen's basement studio to make movie magic. The team behind this collaborative process shares the love for getting this practice in your pocket - anytime, anywhere. The SATTVA Yoga Online community is all over the world, and it starts in the founder's home. Shiny happy Jen, our demo for SATTVA Restore! "I wanted to make the practice accessible and easy. My vision with SATTVA in general was to have something that fits into peoples' lives so that it’s easier for someone to connect to their body, breath and mind. It is the use of those three active participants that develops the world and life they want." There's so much to look forward to! When asked what we can look forward to in the future of SATTVA Yoga Online, Rameen ensures it just keeps getting better. "It’s a continuing of great content - a maturing of content that responds to what people need from an online yoga experience. We are always developing ways that people can fit this into their lives with ease. On the learning side you’ll see many more digestible, small pieces of information that you can take and apply instantly to your practice - and really it’s all designed to take from practice to everyday life. That’s what makes this practice so special; SATTVA yoga is developed through and with the ergonomics and mechanics of the body and mind to allow smoothness throughout both." This practice is for you, out of your pocket and into your life. Follow along as we continue to grow our community and share what we love the most: SATTVA yoga.